Our mission at Jasmine Care Home with Nursing is to provide a welcoming and homely atmosphere for our residents and their visitors. We will actively encourage and support residents in the nursing home in maintaining their independence and fulfilling their potential in a safe, empowering environment. 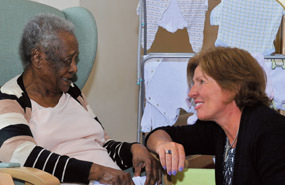 We pride ourselves on the highest professional standards in care, with privacy, dignity and respect for each resident. Friendly and welcoming, Jasmine House is divided into two wings, each creating their own individual, homely atmosphere. Built in the 1900sthe Home has a wealth of victorian character and charm. Jasmine Care Nursing Home with Nursing specialises in dementia, palliative, Alzheimer, cancer, Parkinson’s and diabetic care. 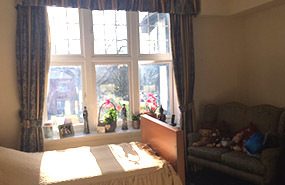 Jasmine Care Home with Nursing aims to provide service users with a secure, relaxed and homely environment where their care, well-being and comfort are of prime importance. At Jasmine Care Home with Nursing we recognise the importance for all service users to retain their independence and the challenges that group living can give. We believe that great care starts with great people. As soon as you walk into Jasmine Care Home with Nursing, It feels like home ought to be: comfortable, welcoming, relaxed and safe. 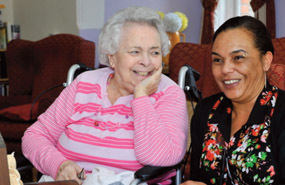 We use a holistic approach to care at Jasmine Care Home with Nursing. The service user’s welfare and well-being are paramount in our Philosophy. Service users are encouraged to engage socially with each other and with staff. Relatives and friends always play a key part in the life of the service users around the nursing home. Consequently, we have an “open visiting” policy. Relatives are always welcome and may take lunch if they choose. Get in contact with Jasmine Care home with Nursing today and see how we can help you and your family.